Greetings! Welcome to the Theater of the Mind. I am your host, Rory Raven. Neither a psychic nor a magician, I offer a new and compelling experience unlike anything you've ever seen. I will read your mind, bend your spoon, and leave you talking about it for the rest of your life. 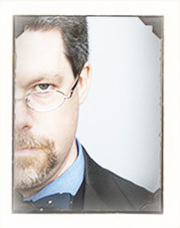 On this site you will find information about my skills and availability both as a mentalist and as a presenter, dates and information on the Providence Ghost Walk, news about upcoming shows and appearances, as well as information on my latest book; Haunted Providence: Strange Tales from the Smallest State. So take a look around – I can already tell that you’re going to like what you see. Interested in booking me for a show? Please contact me for further information!